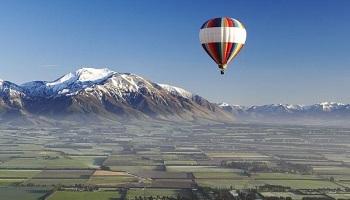 The region of Canterbury stretches from the majestic Southern Alps in the west to the waters of the Pacific Ocean in the east, from New Zealand's highest peak in the south to the deep ocean trench off the coast of Kaikoura in the north. Between these extremes lies a landscape of sheer mountainsides, green foothills, shingled riverbeds and rich agricultural plains. 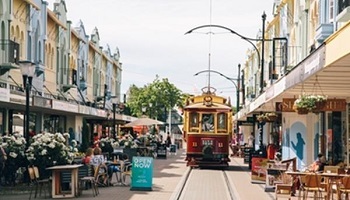 Christchurch is the South Island's largest city, a vibrant, cosmopolitan place heralded as the 'garden city'. The Avon River winds through the centre of Christchurch and trams clatter across the stone and ironwork bridges. Its Gothic revival cathedral, grey-stone 19th century buildings, tree-lined avenues and extensive leafy parks have preserved the grace and charm of an earlier era. This is a very welcoming city and the perfect base for a Canterbury experience. Kaikoura hugs a narrow strip of coastline that lies between mountain peaks and the Pacific Ocean, approximately three hours north of Christchurch. 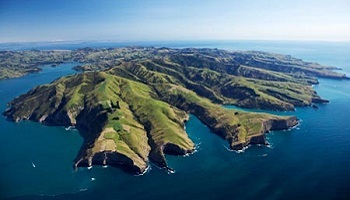 A variety of rare marine mammals converge here - sperm whales, New Zealand fur seals, dolphins and penguinsspan. Christchurch continues to rebuild and recover from the large earthquake of February 2011.